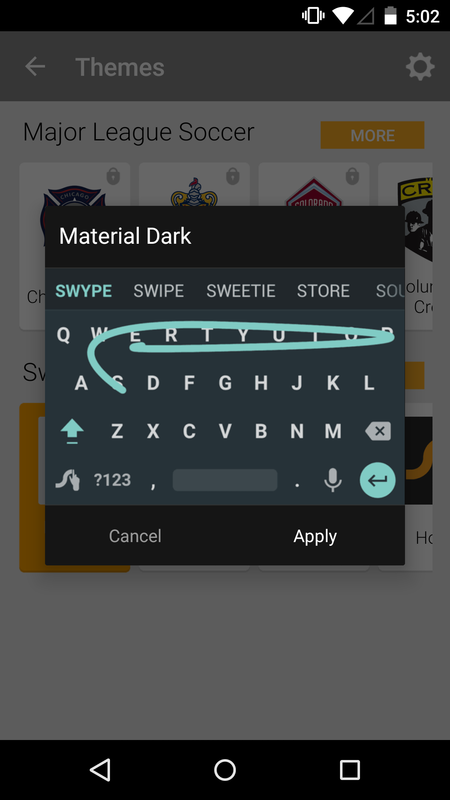 The latest SwiftKey Beta fixed an annoying bug that made typing in comment forms like Disqus in Chrome a headache. Well, it turns out that the update brought a few new features, including an expandable toolbar that sits atop the prediction bar and stickers. If you're the creative type, you'll be happy to know that you can even make your own stickers within the keyboard. 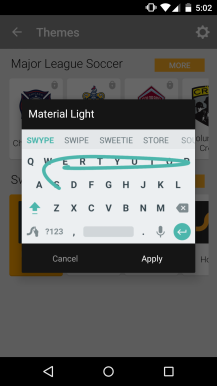 SwiftKey remains the keyboard of choice for many Android users, myself included. While the app is undoubtedly bloated, its autocorrect and next-word prediction are tops. Sadly, those strengths have gone to crap lately when using SwiftKey to type in comment forms like Disqus in Chrome. 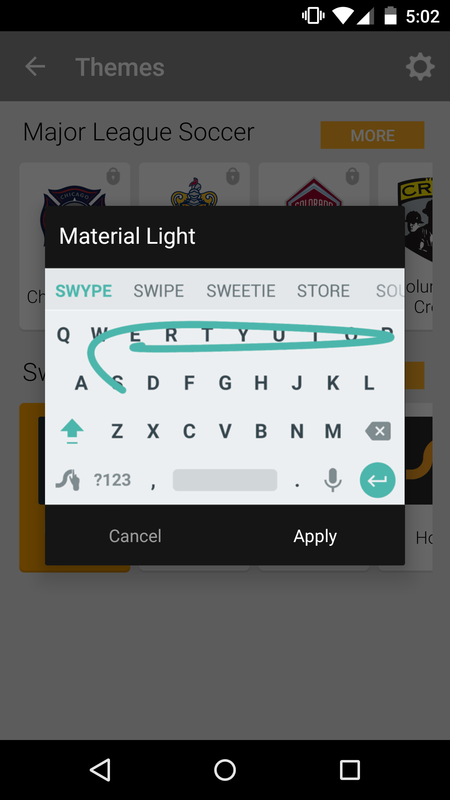 The latest SwiftKey Beta appears to fix the issue. 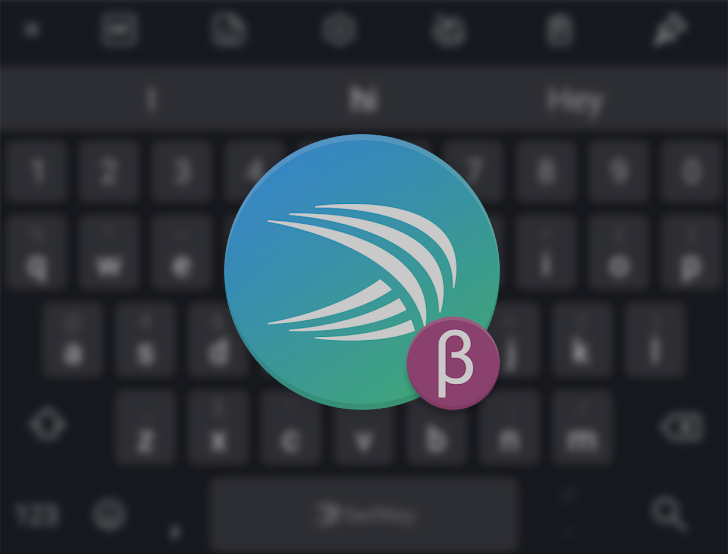 One of the best third-party keyboards on the Play Store is SwiftKey, and its popularity can be put down to its great customization options and constant development. 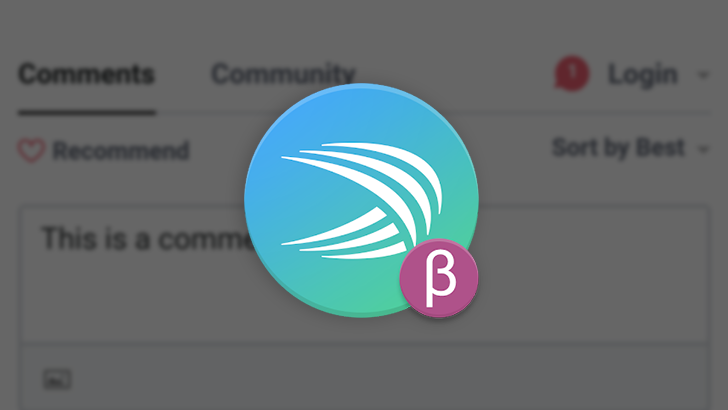 The beta channel is the first place to get new features, and the latest update includes a 'Quick Paste' option and built-in location sharing. Appfour is perhaps the leading app developer for Android Wear. The team has published a variety of apps for the platform, including a web browser, a YouTube client, and a standalone email app. 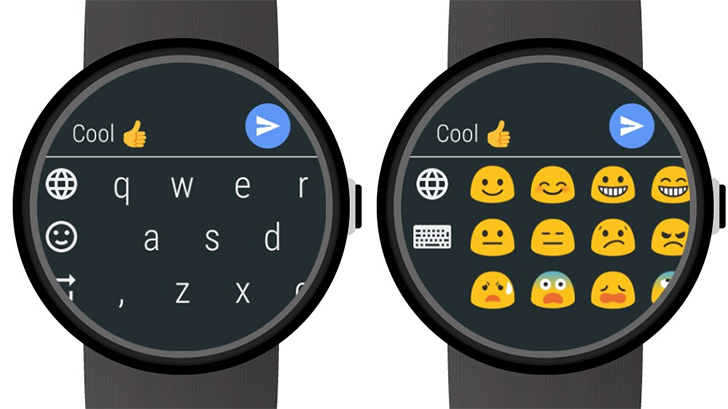 The team's newest project is a third-party keyboard for Android Wear 2.0. 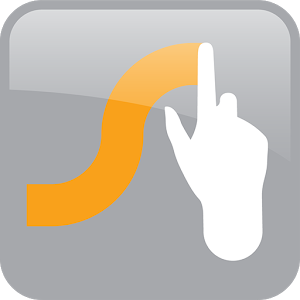 Swype, the keyboard that made gesture-based typing famous, is still alive and kicking. The company has just crammed enough new features into its Android app to bump things up to version 1.8. What's on the changelog? Cool stuff, that's what. Stuff like new Lollipop-friendly themes that even stock Android lovers will be able to install without holding their nose. 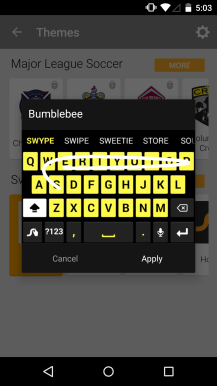 There's a dark one, a light one, and a third theme called Bumblebee because why not? 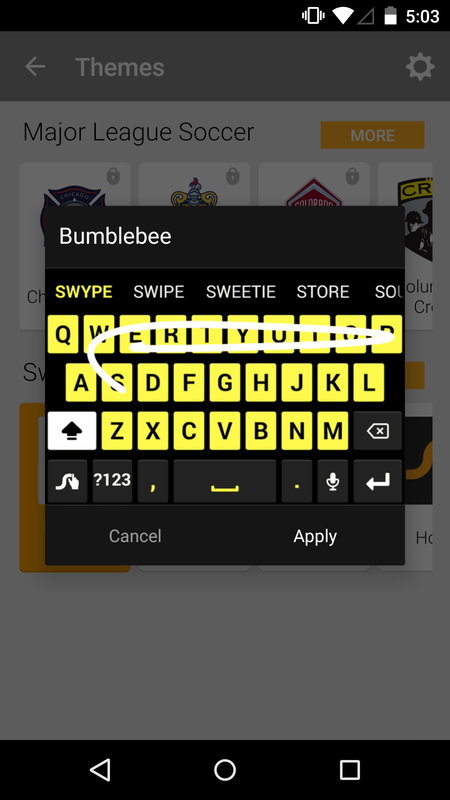 Tablet users can now detach their Swype keyboard from the bottom of the screen and move it around however they like. It might make typing a little more awkward, but that is absolutely not the point. 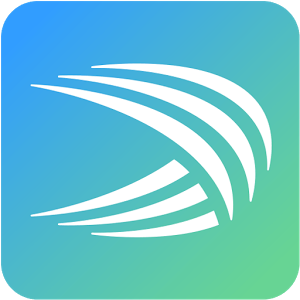 The newest version of SwiftKey opens the third-party keyboard up to millions upon millions of people. How? 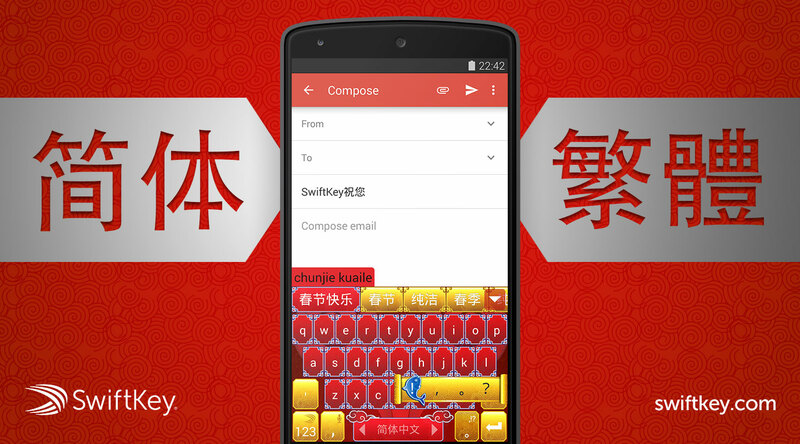 By officially bringing Chinese language support out of beta. There are seven new input methods total, with ways to type in Simplified, Taiwan Traditional, and Hong Kong Traditional Chinese. The Fleksy gesture-based, third-party keyboard is currently on sale for 75% off, which brings the cost down to 99 cents. It will remain at this price until Friday while the company celebrates its latest round of good fortune. 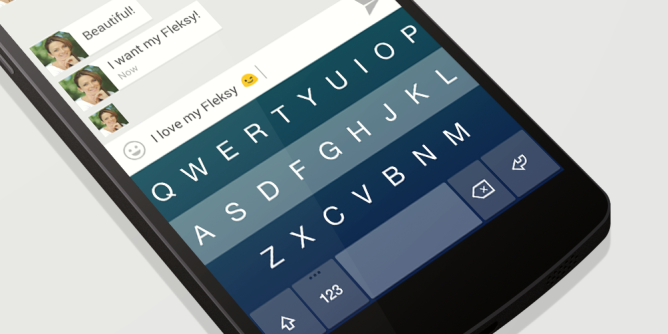 Fleksy has secured $2 million in funding from Digital Garage, Eniac Ventures, Middleland Capital, Highland Capital Partners, Militello Capital, and other investors. This comes less than a year after the product exited beta back in December of 2013, and it follows last month's announcement of the keyboard's first OEM partnership (it will come installed on the Samsung Gear S). Turning to gestures is not uncommon for third-party keyboard designers looking to create the next revolution in mobile text input. 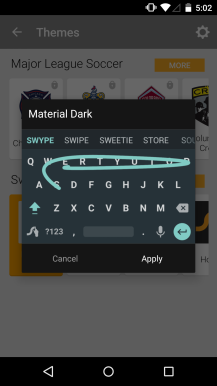 Rather than produce something funky, Fleksy takes a traditional layout and replaces many of the non-character keys (backspace, enter, space) with swipes.